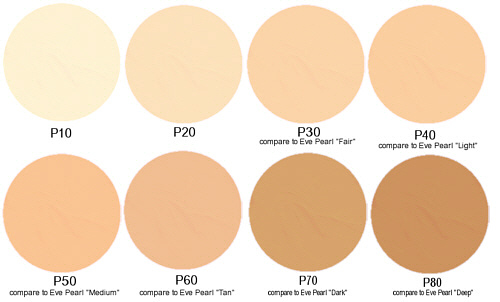 The color P30 is perfect for me since it is slightly lighter than my skintone but close enough that I could wear it without any foundation over it and still look natural. I like the powder concealer for my upper eyelids for color correction, but this stick formula works best with the hollows under my eyes. It seems to plump the area along with color correcting. I have sensitive skin and have had no problems with this concealer at all. It lasts longer than wand concealers I've tried, It blends easily. I use gentle patting to blend it especially if my skin is moisturized well. I use this on other areas of the face as well at times. This stuff WORKS. Being very very pale, blue eyes, cool toned, and Scandinavian decent I have TERRIBLE dark circles that are mostly genetics. I have tried all kinds of high end concealers and all drug store brands. The only thing that came close to this was clinique concealer but this is sooo much better. I can not believe how well it works. I was skeptical at first but thought what the heck at least I will feel better about putting this on my face even if it doesn't work like the others. Boy was I wrong...its awesome. I highly recommend getting samples first. I am super pale so I always am the lightest shade. However, I tried P10 and P20 samples just in case (2 each). Very glad i did because while P10 is very brightening under the eye, its too light even for me! P20 was perfect. And even though I am cool toned this is not too yellow for me. I cant get over how awesome this product is. Just try it - you won't regret it! Oh and just a side note - I was a little put off by the texture at first. The sample came in a tiny hard glob. I thought gross its too hard, itll crease, and I have to use my fingers. But nope! Works awesome with a concealer brush (and fingers) and it softens up to a light, non greasy texture. So don't be put off when you get the sample!! This is my fist review on a Silk Naturals product and it had to be this concealer. It is THE BEST! I am a first time mama and I have had the worst dark circles for the last 6 months until I found this glorious concealer. I tried everything under the sun and nothing worked until this! I have VERY sensitive eyes and this formula does not irritate me at all! It does not crease or gather in my fine lines either. I set this with the Sleep in a Jar powder and OMG, my eyes look great. I am so thankful that Silk Naturals offers samples. I was able to pick out and compare a couple of colors and I am now so happy. I ended up sampling a darker shade then I would normally based off of review (P40). I also sampled the Sleep in a jar powder. They are a match made in heaven. Do not hesitate, get some samples, you will not regret it! Healthy makeup is a must for me and I have all the big players in the healthy/green/EWG-rated makeup game and ever since I found Silk Naturals I am obsessed and pretty much use SN exclusively now. The quality of these products amazes me. I was a professional M/U artist for years working for several high-end brands over the years and SN is comparable, if not better in quality and variety(!!! ), not to mention it is healthy, made in the USA, and such amazing prices. I do not know how they do it! I love you Silk Naturals!!!!!!! After much consideration (and me being too impatient to order samples to compare to my skintone), I got this concealer in P20. Being Asian-American, my skin is olive/yellow toned while not being -too- dark. I appreciate the variety of colors and tones. This concealer is so creamy and really melts into the skin. It doesn't leave weird residue or dry patches like most concealers because you don't have to rub it in too much. It has just as much lasting power as high-end concealers (I used to buy $30 NARS concealers) but doesn't look unnatural, nor does it cause my skin to crease. I love that the formula can be trusted, I love that the price is so fair, and I love that it helps cover my dark under eyes and the redness around my nose. I've only been using it for a month but it has quickly become a holy grail item. This definitely covers dark circles because it is dark enough and peachy/salmony in tone. Too often, concealers are too light for covering dark circles. This is a harder formula so be prepared to warm up the formula by rubbing with your fingers before use. I love love this corrector/concealer, nothing has ever covered my dark circles like this product! This product is amazing! It blends very easily into the skin and stays on long. It will last even longer if set with a powder. I appreciate that it is a more natural coverage, but still minimizes the darkness under my eyes. I also really appreciate that Silk Naturals gives the option to try affordable samples. It's nearly impossible to guess what shade you might be from an image online. I originally ordered a range of 3 shades and ended up going with the darkest one (30). I never would have chose that shade from the color swatch since my skin is relatively fair. Use the samples to find your exact match. Thank you Silk Naturals. Oh, and did I mention that they send fun samples with all the orders! Great company!! I thought for about $6, why not try this? I use a $70 concealer right now that is good, but I'm not in love with it. This is as good. This is much smaller, mind you, but the price per unit is still much better, and this is a fresher product without all the nasty preservatives. I got 2, which is a tad too fair, so I'm going to order #3 now! Amazing. Wow. That's allReview by Catherine D.
Wow. That's all I can say is WOW! The price is excellent and the staying power is awesome. Love, love, love this concealer. Got the samples, which were great sizes, found my color and had to get the full size. Good concealer. VeryReview by Amanda F.
Good concealer. Very creamy and easy to blend. I have a crazy blue vein under my left eye and this covers it, but not completely. I also have dark circles and this helps (I've set it with Sleep in a Jar in medium peach a few times and it definitely looks brighter overall)! So far it's the only one that matches my skin tone perfectly, and it doesn't emphasize fine lines. I'll probably repurchase after my sample runs out :) I like this. This concealer isReview by Marylynn L.
This concealer is amazing! It is like a magic eraser for my under eyes. P40 pair perfectly with HD Cream Foundation in N40 for me and when I have a bit of a tan P50 works with HD N50. This is aReview by Kristan H.
This is a great concealer! It goes on easily and is very bendable.